Rose Herlihy highlights the inspirational lives of two prominent Hollywood stars from the 1950’s, and shows how families can imitate their example today. It is rare we can look to Hollywood stars for inspiration. Strong Christian families, in particular, seem to have little or nothing in common with movie stars. 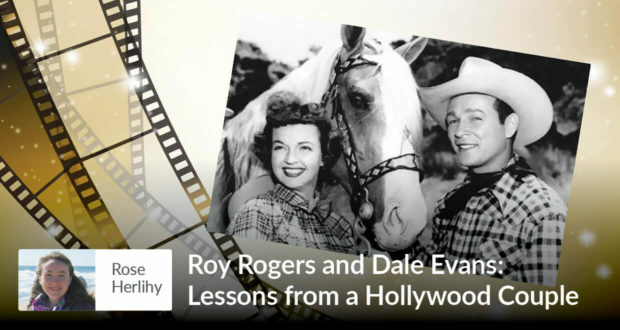 Yet, there was one celebrity couple, who defied this usually accurate stereotype: Roy Rogers and Dale Evans. This successful and wildly popular duo of the 1950s were married for fifty-one years, raised nine children, and embraced God as the center of their lives. Life was not always simple and free of worries for the Rogers family. Nevertheless, they were characterized by their joyfulness and Christian witness in the public square. What, then, was their secret to happiness, and what messages can they still send to families today? Known as “King of the Cowboys,” Roy Rogers appeared in over one hundred movies and countless TV and radio shows. A Life magazine survey found that amongst children, Roy was ranked with the likes of Abraham Lincoln and Franklin D. Roosevelt as the person they would most like to emulate. He stood for everything good about the American cowboy. He was handsome and strong; he never started a fight but always defeated the bad guys; and he never ceased to impart wholesome values to his young viewers. Roy explained how he saw marriage as a very selfless relationship, “I think marriage is a give 80 and take 20 on both sides. And especially today, for marriages to survive, that’s the way it’s got to be. You’ve got to give a lot more than you take, on both sides.” In today’s world, where the sacred institution of marriage needs affirmation, Roy and Dale’s advice is fitting in its simplicity. Roy and Dale’s love for each other is exemplified in the love they showed to each of their children. PR managers and Hollywood reporters tried to discourage Roy and Dale from marrying and having a large family, claiming marriage would mar their image as a romantic onscreen couple, and many children would be a hindrance to their career. Roy and Dale had no worries about this, however, and embraced the three children from Roy’s marriage to Arlene and the five children who were to follow. In 1950, Dale gave birth to a beautiful baby girl named Robin Elizabeth. The doctors broke the news that Robin had Down Syndrome and recommended that Roy and Dale institutionalize her. Defying standard practice, Roy and Dale refused and instead brought her home as a blessed new member of their family. They explained to their other children that Robin was a special baby and was not very strong, “We have to take care of her just as though she were a delicate little flower.” The children responded with gentleness and love to their new baby sister. Dale noted that Robin’s presence helped them all to grow closer as a family. Robin was embraced by all and made a prominent part of the Rogers family, even appearing in photoshoots with her family in adorable cowgirl outfits. Her life brought a special light to all who knew her. Dale felt this was Robin’s message, prompting her to write Angel Unaware, the story of Robin’s life. This powerful little book became a best-seller, helping families of handicapped children to understand the blessings these children brought to their lives. After the publication of Robin’s book, Roy and Dale had a new audience at their shows; among the cheering youngsters were found children with Down Syndrome and all manner of other disabilities. Dale, who had been devastated by the loss of Robin, now saw her daughter’s face shining in the faces of all the special children in the audience. Dale said, “She filled the arena and her love filled my heart.” The blessings that Robin’s life brought to Roy and Dale prompted them to open their hearts and their loving home to adopt four more children. Even though Roy and Dale are mere shadows from the past for most people, much inspiration can be drawn from their lives. In particular, they were always bucking the status quo of their times, resulting in greater happiness for themselves and their family. Homeschooling families face similar challenges as they defy the typical route of schooling to provide a lasting and faith-filled education for their children. Roy and Dale’s message is timeless in its appeal to all those who place faith and family as the top priorities in their lives. 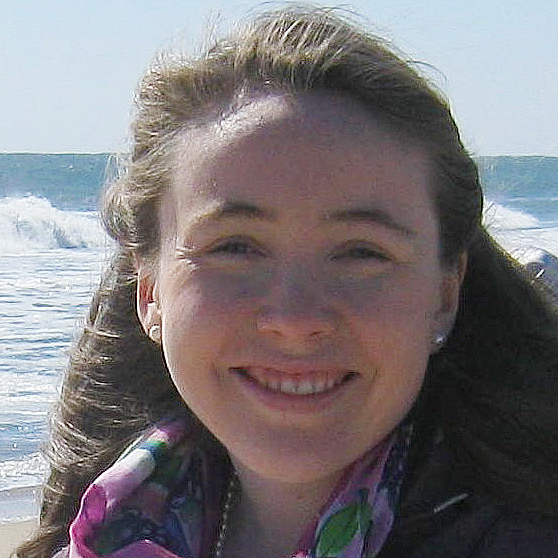 Rose Herlihy used Seton for K-12, and then went on to obtain a B.A. in English from Christendom College. She is now attending nursing school in Pittsburgh, PA.